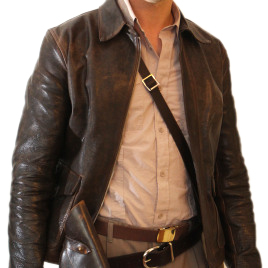 I ordered a version C Adventure Jacket from Indy in charcoal coloured goatskin. The length of time from submission of my measurements to arrival at my door was just under 4 weeks. The construction and materials are faultless (so I have no doubt it will last me some time) and the actual measurements are exactly the same as those submitted (so it fits me far better than any off-the-rack garment). Since both the jacket and service is very good I have no problem recommending this jacket from Indy.